Fleetingly flashed, meticulously observed, packed with intoxicating energy, shock frozen, voyeuristically charged, dramatically overstated, romantically wild, tragic, comical, broodingly absent, and strangely horrific – the street, that »urban space« experienced directly and mundanely as an urban living environment, is by far one of the most scintillating and multifaceted subjects of photography. The exhibition Street. Life. Photography, organized in conjunction with the Triennial of Photography, features fifty-two photographic positions with roughly 350 works from the F. C. Gundlach and Falckenberg collections, as well as numerous loans and cooperation projects with contemporary artists. It is divided into seven thematic groups: Street Life, Crashes, Public Transfer, Urban Space, Lines and Signs, Anonymity, and Alienation. Emancipated from Henri Cartier-Bresson’s »decisive moment,« new narrative tendencies of Street Photography brush aside the concentration on photographic testimony. 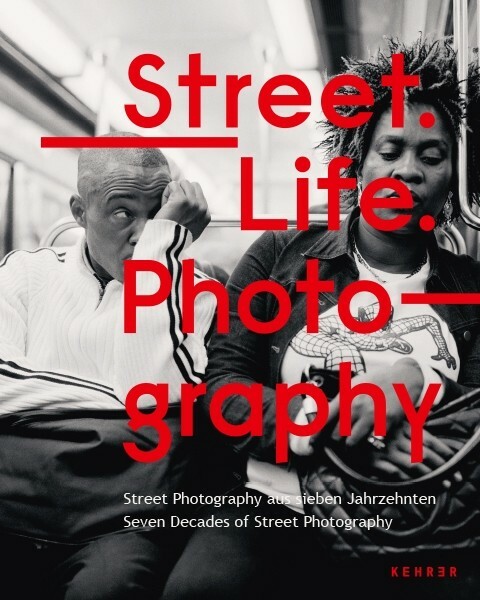 Photo-historical icons and contemporary positions mutually charge each other and, in a deliberately subjective overview, provide information on social phenomena photographically manifested on the street over the past seventy years.